The conference is aimed at raising public awareness and promoting dialogue on the progress towards a bioeconomy. This will be accomplished by bringing together academics, researchers, stakeholders, policymakers, business representatives and the civil society across the bioeconomy sector to exchange knowledge, coordinate activities and discuss new actions. A wide range of participants is expected from around the European Union and from within Finland. The conference will help to implement important EU policies and initiatives, especially the updated Bioeconomy Strategy from 2018 “A sustainable Bioeconomy for Europe: strengthening the connection between economy, society and the environment” and the Circular Economy Package. The conference opens on 8 July with a welcoming reception organised by the City of Helsinki and hosted by Mayor Jan Vapaavuori. The conference itself takes place on 9 July at the hotel Scandic Park Helsinki, which is located in the city centre. On 10 July, there are excursions to see how the bioeconomy can work in practice. Excursions will be arranged within the greater Helsinki area, and in central and eastern Finland. Francisco Gabriel Acién Fernández (Spain) is Professor of Chemical Engineering at the University of Almeria, Director of Cathedra Cajamar on Bioeconomy and Coordinator of the H2020 EU Project SABANA, which focuses on the Sustainable production of biofertilizers and aquafeed from wastewater using microalgae. The main research topics in the project include the reuse of crop residues and biotechnology of microalgae. Prof. Acién has participated in 12 European projects in addition to 30 national projects and contracts with companies. 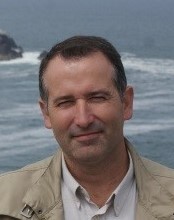 He is Vice-President of the European Algae Biomass Association (EABA), a member of the International Society for Applied Phycology, a member of Latino American Society for Algal and Environmental Biotechnology, and editor of the journals Algal Research and RELABIAA, in addition to working as a reviewer of international journals. He also collaborates with international projects, such as DeserBioenergy in Chile and CONACYT in Mexico, which aim to develop processes for the production of biofuels from microalgae in special locations. His major contributions in the field of Biotechnology of microalgae are related to the improvement of photobioreactor design, scale-up of production systems, and economic analysis of production processes. His most recent research focuses on microalgae biomass valorisation to improve the economic yield of microalgae-based processes. 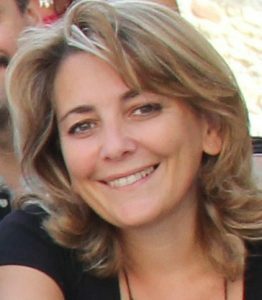 Susanna Albertini has been an FVA New Media Design partner since 1995 and has integrated her specialisation in psychology of work and business organisations with multimedia and ICT-supported communications. Since 2000, she has been project manager and researcher in projects funded by the European Commission as an expert in game-based training, co-creation and creativity enabling factors, communication, impact and valorisation of research results. Albertini was also selected by the European Commission as an evaluator for Horizon 2020. Her main area of interest is a sustainable circular bioeconomy and societal challenges with a special focus on sustainable and inclusive growth. Albertini is involved in several EU-funded projects, supporting the promotion, awareness raising and communication of the bioeconomy: European Bioeconomy Network, BIOVOICES, BIOWAYS, Biobridges and LIFT. She is one of the promoters of the European Bioeconomy Network, an alliance of EU-funded projects that support the bioeconomy uptake. In the context of the Network and the BIOWAYS, BIOVOICES, LIFT and BIOBRIDGES projects, her company FVA organises events, workshops and awareness-raising activities to promote the bioeconomy and address challenges and opportunities, engaging the quadruple helix stakeholders in the domain. FVA is also the promoter of the Bioeconomy Village, a ’hands-on’ roadshow targeting the general public and involving EU-funded projects, researchers, industry and policymakers as testimonials. Last year, the Bioeconomy Village included around 40,000 participants from Europe. 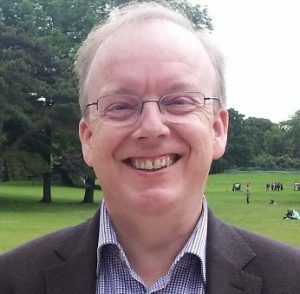 Dr John Bell is Director for the Bioeconomy in DG Research and Innovation of the European Commission. He is responsible for leading the definition, implementation and investment of EU research and innovation policy and programming across the bioeconomy; from agriculture and food systems, oceans, marine and maritime issues to investment in new sustainable bio-based industries. This includes Horizon 2020, 3.8 billion Societal Challenge 2, the EU Bioeconomy Strategy, the EUR 3.7 billion Bio-Based Industries Joint Undertaking and Food and Nutrition Security FOOD2030. He leads Oceans research and innovation strategies including the Atlantic Ocean Research Alliance, the Bonus programme (Baltic Sea) and the BlueMed Initiative (Mediterranean). Bell’s professional background was in academia (Anglo-Irish Studies) and in Business Journalism in London. 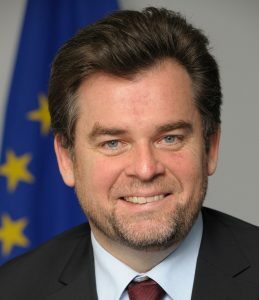 During his European Commission career, he has worked in External Relations on financial assistance programmes in the former Yugoslavia, public administration reform in Central and Eastern Europe, and on Poland’s accession to the EU. Bell was a member of the Cabinet of Commissioner David Byrne with responsibility for enlargement, food safety, tobacco control, public health and global health security issues, including bioterrorism. He was Chef de Cabinet to European Commissioner Meglena Kuneva on Consumer Affairs. As Chef de Cabinet to Commissioner Máire Geoghegan-Quinn on Research and Innovation, he was responsible for developing and funding Horizon 2020, mainstreaming innovation, financial investment and simplification. 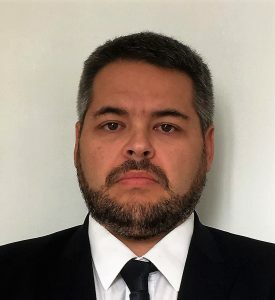 Giovanni De Santi has held the position of Director of the Directorate for Sustainable Resources at the Joint Research Centre of the European Commission since September 2017. The Directorate provides independent scientific evidence to support the development, implementation, evaluation and coherence of EU policies, mainly in the areas of sustainable development, agriculture, Earth Observation (Copernicus), environment and climate change, blue growth and fisheries, bioeconomy, industry and trade. De Santi previously served as Director of the JRC Institute for Energy and Transport. He has been working for the European Commission’s Joint Research Centre since 1985. Giovanni De Santi holds a university degree in Mechanical and Nuclear Engineering and a PhD degree in Fluidodynamics. 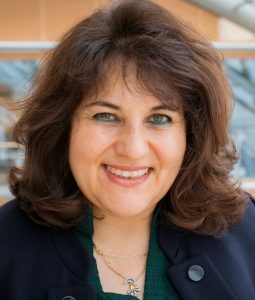 Shiva Dustdar heads the Innovation Finance Advisory Division in the EIB. She has worked at the EIB since 2003, first in Risk Management, then in its Lending Directorate financing higher risk, innovative projects before joining the Advisory Services Department. Before EIB, she was Director of High Yield at Fitch Rating Agency developing its European High Yield rating business and worked in the M&A Advisory and Emerging Markets Investment Banking Group at J.P. Morgan in New York and London. Dustdar holds a BA in Economics from Columbia University and an Executive MBA from London Business School (LBS). In 2000, she co-founded the European High Yield Association (EHYA), which is now part of the Association for Financial Markets in Europe (AFME). In 2006, Credit Magazine nominated Dustdar to its Top 50 Women in Credit. 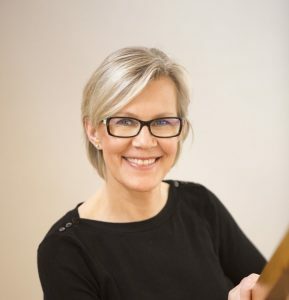 Linda Fröberg-Niemi is the leader of the CleanTurku cluster in Turku Science Park Ltd. The cluster boosts innovation activities in cleantech and in the bioeconomy and circular economy in the Turku Business Region. CleanTurku actors consist of startups, growth companies and industry as well as research institutes, academia and different public sector representatives. Fröberg-Niemi has worked for Turku Science Park since 2011, dealing with issues related to innovation services and business development. She was responsible for founding the Smart Chemistry Park innovation platform and started its activities in January 2015. The Park supports startups and SMEs within the fields of chemical engineering, biotech and material science develop their business, delivering solutions to bioeconomy and circular economy ecosystems. Today, this is one of the main activities of the CleanTurku cluster. Fröberg-Niemi completed her doctoral dissertation in 2007 at the Process Chemistry Centre, Åbo Akademi University. Her research work was carried out in close collaboration with Finnish industry. 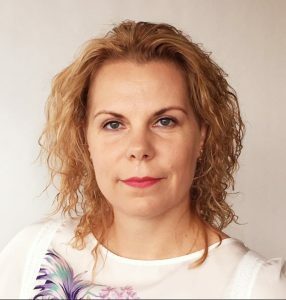 Jaana Husu-Kallio has been the Permanent Secretary of the Ministry of Agriculture and Forestry of Finland since February 2012. Since 2016, she has been Chair of the management board of the European Food Safety Authority, of which she has been a member since 2012. Her previous positions include Director-General of the Finnish Food Safety Authority (from 2006) and Deputy Director-General of DG Health and Consumer Protection of the European Commission (from 2002). Before joining the European Commission, she worked in the Ministry as Chief Veterinary Officer. Dr. Husu-Kallio graduated with a degree in veterinary medicine from the University of Helsinki (1984) and attained a PhD in veterinary microbiology in 1990 and a specialization degree in infectious animal diseases in 1992. She has been a member of the Royal Swedish Academy of Agriculture and Forestry since 2004 and received a Doctor Honoris Causa from the Faculty of Agriculture and Forestry of the University of Helsinki in 2008. She acted as a member of the Management Board of the University of Helsinki in 2010–2013 and as Chairman in 2014–2017. Matti Häyry is Professor of Philosophy at Aalto University School of Business. After a period (1975-81) in the military, he studied moral and political philosophy at the University of Helsinki (PhD 1990), where he also worked as a teacher and researcher. 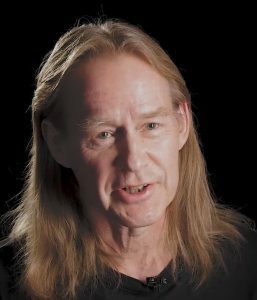 At the turn of the millennium, he moved on to hold professorships at the University of Kuopio, the University of Central Lancashire the University of and Manchester, before returning to Helsinki in 2013. Häyry has researched the ethics of technology-related policies from the start of his career and headed a number of major research projects on them, funded by the Academy of Finland (AoF), the European Research Council, and the Wellcome Trust, among others. 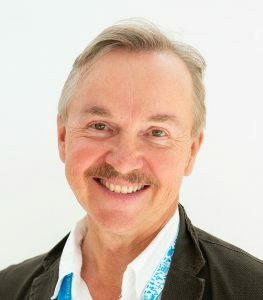 His recent and ongoing projects include Synthetic Biology and Ethics (AoF), Bioeconomy and Justice (AoF), the Role of Justice in Decisions on Bioeconomy (Finnish Ministry of Agriculture and Forestry), and A Just Management Model for Sustainable Systemic Change / The Updated EU Bio-economy Strategy (Finnish Ministry of Agriculture and Forestry). Dr Mika Härkönen, Manager, pilot plant development at VTT Technical Research Centre of Finland. 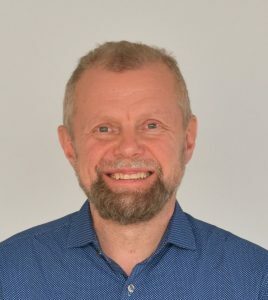 He is project leader for the new Bioruukki Pilot Centre expansion and coordinates research infrastructure and pilot plant development and coordinates networking in the field of the bioeconomy and circular economy. Härkönen holds a D.Sc. (Tech.) in polymer technology completed in 1995 at Helsinki University of Technology. He has worked at VTT since 2006. 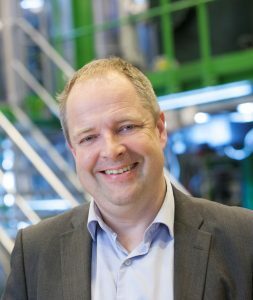 Previously he worked for 15 years in the plastics and petrochemical industries (Borealis, Neste), involved in R&D and management tasks for product development and piloting. Härkönen’s main areas of technical expertise are scale-up, piloting and polymer technology. More recently, he has focused on processes and products produced from bio-based raw materials and on collaboration and networking projects at European level. Mikael Höysti is Head of the Department for Culture and Resources at the Secretariat for the Nordic Council of Ministers (NCM). He is responsible for Nordic intergovernmental cooperation in the fields of Culture; Children & Youth; Gender Equality; and Fisheries (Aquaculture), Agriculture, Forestry and Foods (FAFF). Mr. Höysti graduated from Åbo Akademi University and has previously worked for the city of Turku, Finland. He has a long experience in management positions in the public sector and has been Head of Department at the NCM secretariat in Copenhagen since 2012. During his time at the NCM, he has had been responsible (together with his excellent team) for establishing the Cooperation Programme for FAFF (2017–2020), which focuses on two main strategic areas: developing the Nordic bioeconomy and sustainable food systems. The NCM has also adopted a specific cross-sectoral Nordic bioeconomy programme called 15 Action Points for Sustainable Change, which sets goals specifically so that primary production can gain added value by upgrading biomass to more valuable produce. The NCM is committed to promoting and integrating Gender Equality, sustainable development and children’s rights, and to engaging and involving children and youth in all aspects of its work. Barna Kovacs is currently working as counsellor at the Permanent Representation of Hungary to the EU. He has been appointed as the Secretary General of the BIOEAST Initiative. Between 2009-2017 he worked as scientific and policy officer in the European Commission. His responsibilities covered research project management and policy definition, contributing to conceptual reflections of the work programmes, strategic documents and new approaches for the implementation of the EU Bioeconomy Strategy, the Bioeconomy Observatory. 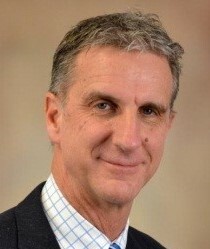 In 2016, Kovacs was appointed as Secretary for the Standing Committee on Agricultural Research. He was a focal point for relations with the EU Member States, coordinating foresight exercises in the field of bioeconomy. In the period of 2004-2009 he worked in the European Parliament in Brussels. His scientific background covers management and business administration, focusing on the socio-economic aspects of agriculture, localised agri-food systems. 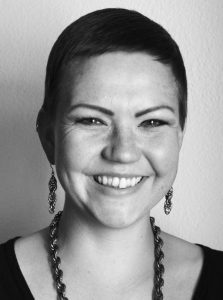 Maarit Laihonen gained her doctorate from Aalto University (Department of Management Studies) in 2017 and is now working as a postdoctoral researcher. Her doctoral thesis discussed the politics of nuclear energy from the perspective of societal legitimation, and her current research concentrates on strategies and management models of bioeconomy, unorthodox organisations, and developing ethnographic methods. She also works in a multidisciplinary artistic-scientific group, ‘Interfaces for Empathy’, developing empathic methods for groups and communities in a post-fossil world. Earlier, she worked for example as a visiting scholar at Harvard University. In general, her research interests involve the economy and politics, environmental governance, social studies of science and technology, and changing university. She lectures on corporate responsibility, business ethics, and qualitative methods. 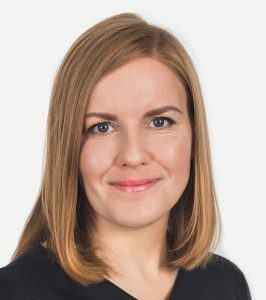 She has served as the vice president of the Finnish Society for Political Economy Research since 2015. 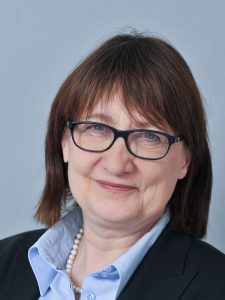 Christine Lang is an entrepreneur in biotechnology and a consultant on bioeconomy to the German government, co-chairing the German Bioeconomy Council. She is also Associate Professor for Microbiology and Molecular Genetics at the Technical University Berlin and vice-president of the German Association of General and Applied Microbiology (VAAM). In 2001, Lang founded Organobalance GmbH, which is an R&D company to develop novel microbial active ingredients and strains for food, feed, personal care and pharma applications. In September 2016, Organobalance became part of Novozymes S.A., where Lang served as the CEO until June 2018. Christine Lang is also co-founder and head of BELANO, a scientific board of medical AG that focuses on the production and sales of microbiotic products for human health. Lisa Lehner is a Forest Policy Officer for international and national affairs at the Federal Ministry for Sustainability and Tourism in Austria. She works at the Directorate for Forest Policy, Forest Economy and Forest Information, linking Austria’s longstanding tradition of sustainable forest management and its highly innovative forest-based sector to the international forest policy arena. She is a forestry graduate of the University of Natural Resources and Life Sciences (BOKU) in Vienna. Her Master thesis focused on the perception of bioeconomy in the Austrian forest-based sector. Earlier she worked at the Austrian Research Centre for Forests as well as at the European Forest Institute’s Regional Network Office in Vienna. Lehner is actively engaged in the board of the Austrian network “Women in Forestry” and was founding and board member of the International Forestry Students’ Association at BOKU. Jussi Manninen is Executive Vice President at VTT. He is responsible for the business area of ‘Solutions for Natural Resources and Environment’. The business area consists of 450 research professionals working in three research areas: ‘industrial biotechnology and food solutions’; ‘biomass processing and products’; and ‘sustainable energy and chemical technologies’. Manninen moved to VTT from the Finnish Ministry of Economic Affairs and Employment, where he was responsible for the implementation of the Finnish Government’s key projects on the ‘Bioeconomy and Cleantech’ and the Finnish Bioeconomy Strategy. Manninen holds a PhD in Process Integration from University of Manchester Institute of Science and Technology (UMIST). Earlier, he worked at VTT for 15 years in research, development and innovation management in the fields of energy, the forest sector and the bioeconomy. Jussi Mälkiä (Sea Captain, Master Mariner 1990, Turku) is the Chairman and founder of Meriaura Group. Meriaura Group is a growing, Turku-based family-owned group of companies that provide marine transport and ship management services, logistical solutions and environmental technology. Mälkiä studied environmental and circular economy at the University of Turku. He started his career by working for environmental and fair trade NGOs, including Greenpeace. Mälkiä founded Meriaura Group in 1986 to show in practice how to combine business and sustainable development. Once the maritime transport business became profitable and large enough, he started concentrating on environmentally friendly businesses, such as developing marine fuels from waste and closed circulation food and energy production. The main motive in his business is to find profitable businesses that also decelerate climate change. Michael O’Donohue received a PhD (Protein Biochemistry) from the University of Portsmouth in 1991. Since 1996, he has been working for INRA (France) in the field of enzyme engineering, especially applied to biomass-active enzymes. O’Donohue has coordinated several large projects focused on biorefining, including the FP7 flagship project BIOCORE, which set out to design a multi-feedstock biorefinery concept. Since 2016, he has been head of INRA’s CEPIA division, which focuses on ‘Science for Food and Biobased Product Engineering’. Moreover, he is coordinator of the EU-IBISBA infrastructure project that entered onto the ESFRI roadmap in 2018. The French node (IBISBA-FR), including the infrastructure and preindustrial demonstrator Toulouse White Biotechnology (TWB), was added to the French infrastructure roadmap in 2016 and became operational in 2018. 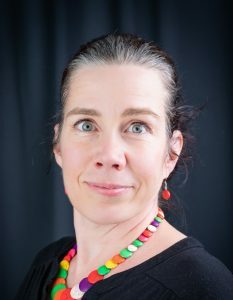 Mari A. Sandell (PhD) is deputy director of the Functional Foods Forum at the University of Turku and an associate professor in sensory perception at the Faculty of Medicine. She is also an affiliated scientist at the Monell Chemical Senses Center in the United States. She is fascinated by individual differences in multisensory perception connected to wellbeing and experiences as well as sensory-based food education for children and adults. Sandell is principal investigator in several projects funded by the Academy of Finland and Business Finland. 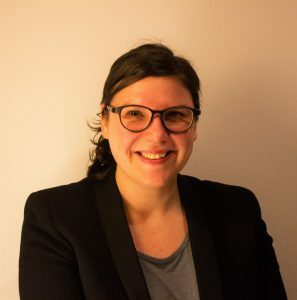 She is also principal investigator at the new research platform Flavoria, which is a living lab for researching real-life consumer experiences towards a biofuture and the circular economy in food systems. Sandell has received the Polak Young Investigator Award (USA) and the Academy of Finland Award for Social Impact. 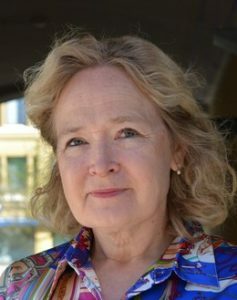 She is a former president of the Finnish Society of Food Science and Technology and is the current chair of the Food Culture Society in southwest Finland. Sandell is also an active member of the European Sensory Science Society (E3S). Together with partners such as companies, researchers, society actors and cities, along with consumers, her research activities include potential concepts for innovative, sustainable, tasty and healthy food products and services. Practical examples of co-creative activities are consumer-driven multisensory food experiences (FoodiEX), an operating model to develop the food chain in southwestern Finland (Innotori) and snacking combined with gamification (Snacks). DSc (Tech) Leena Sarvaranta has been Head of EU Affairs at VTT since 2007. VTT is a fully state-owned, non-profit company with a specific public service mandate from the Finnish Ministry of Economic Affairs and Employment. VTT collaborates with various stakeholders, and today, VTT is among the most active European research organisations participating in EU programmes. In 2014-2018, Sarvaranta served in the Strategic Research Council under the Academy of Finland. The Council is a funding mechanism for long-term research to support decision-making across society. As a member of the Government Foresight Group in 2016-2019, she took part in the coordination of national foresight efforts. She also works in a coordination group for Smart Specialisation Strategy of Helsinki-Uusimaa Region. At all levels, circular bio-economy, enabled by digitalisation, is at the core of Finnish priorities. Sarvaranta has also gained experience from various EU-level initiatives, more recently the Strategic Forum for Important Projects of Common European Interest (2018-2019), and prior to that from High Level Groups on Key Enabling Technologies (2010-2011, 2013-2015) as well as Expert Evaluation Panels of PPPs in FP7 and H2020. Kristine Sirma is the Head of Sustainable Agriculture Development Division at the Ministry of Agriculture of Latvia. Kristine Sirma has been working in the ministry for 13 years. She previously worked with sectoral issues related to the common organisation of agricultural markets. For the last 6 years, her division has been in charge of developing and promoting the concept of bioeconomy within the ministry and in other ministries. It also works to raise awareness and knowledge about EU climate and energy policies and sustainable agriculture production among policy-makers and farmers’ organizations. She represents the ministry in the FAO Committee on Agriculture and the Global and European Soil Partnerships. Before joining the Ministry, Kristine Sirma worked for more than 6 years at the Sanitary Border control as a veterinary inspector. She holds degrees from Latvia University of Agriculture, Department of Veterinary Medicine and from the University of Latvia, Department of Chemistry and Department of Life Science. In the National Encyclopedia published in 2018, Kristine is named the founder of bioeconomy in Latvia. 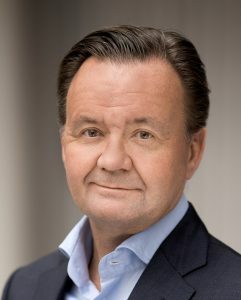 Karl-Henrik Sundström was appointed CEO of Stora Enso in August 2014. He joined Stora Enso in August 2012 as CFO and as a member of the Group Leadership Team. In June 2013, he took on the role of Executive Vice President of the Paper and Wood Products division. Prior to joining Stora Enso, Mr. Sundström held the role of CFO of NXP Semiconductors in 2008–2012. Before that, he held several managerial positions at Ericsson, including CFO. 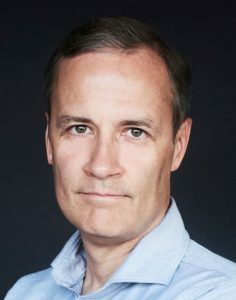 He is a member of the board of Mölnlycke, Chairman of the tax delegation for Swedish Business and Commerce and a member of the board of the Marcus Wallenberg Foundation. 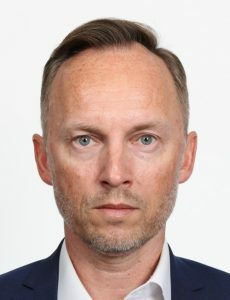 Karl-Henrik participated in an Advanced Management Program at Harvard Business School in 1997 and holds a degree in Business Administration, Finance and Accounting from Uppsala University, Sweden. Dr Petri Suuronen is Director of the Blue Bioeconomy programme at the Natural Resources Institute Finland (Luke). The programme develops aquaculture production technologies, promotes profitable fisheries, rebuilds migratory fish populations, develops value-added aqua-biomass products, and improves genome-based tools for fish breeding. He holds a Ph.D. in aquatic ecology and fisheries science, and has extensive experience in fisheries. Suuronen worked at the Fisheries and Aquaculture Department of FAO from 2009 to 2017, where he developed management measures and low-impact fishing strategies to increase profitability in fishing and reduce ecosystem impacts of fishing. Between 1996 and 2009, Suuronen was a Research Director at the Finnish Game and Fisheries Research Institute. He has participated in several European-level projects related to the development of responsible fisheries and has published around 65 scientific papers and many other articles. He has also given presentations on different aspects of fishery development. Niklas von Weymarn holds a Doctor of Science degree in bioprocess engineering from Aalto University in Finland. He has also studied economics and innovation strategies. His job career begun in 1999, when he took on the position of Research Scientist at Cultor Technology Center (renamed DuPont). 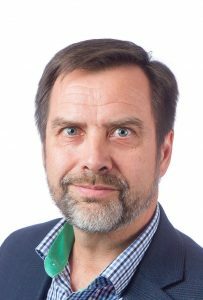 Since then he has held the positions of Project Manager, Team Leader, Program Manager, Technology Manager and Vice President for Research at Aalto University, VTT, CLIC Innovation and Metsä Fibre, respectively. He is currently CEO of Metsä Spring, the venture capital arm of Metsä Group. He is currently also a Board member of the Bio-based Industries Consortium BIC, the private partner behind the BBI JU. Companies combining the concept of a bioeconomy and the circular economy are well represented in the capital region. 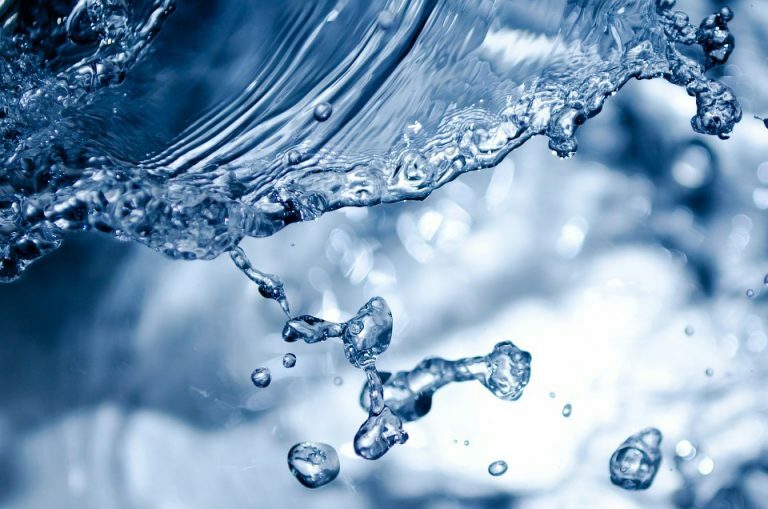 During the day, we will visit the largest wastewater treatment plant in the Nordic countries in Viikinmäki, the Ämmässuo waste treatment plant, and Wood City in the Jätkäsaari district of Helsinki. We will also learn about nutrient cycling and new food production methods. Bus transport is provided for the excursion. After the last stop, the bus will take participants to the airport or back to the city centre. On this excursion, we will visit companies engaged in research and development. We will be introduced to different innovations such as an innovation and demonstration platform for bioeconomy and circular economy businesses (VTT Bioruukki), the use of bio-based materials, for example lignocellulose for packages, the development of new bio-based products (Stora Enso), the development of new businesses in a forest-based bioeconomy (Metsä Spring), and ecological and economical manufacture of microcrystalline cellulose (AaltoCell™). Bus transport is provided to all the sites. After the last stop, the bus will take participants to the airport or back to the city centre. 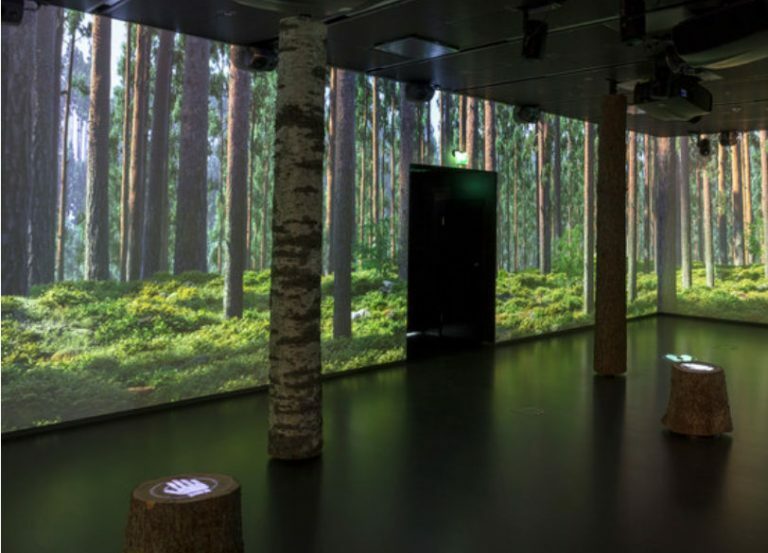 The excursion to the City of Lahti, about a one-hour drive from Helsinki, offers a chance to see some good practises in the bioeconomy and circular economy. The Päijät-Häme region is one of the bioeconomy clusters in Finland. It is also one of the regions in the BIOREGIO project financed by European Union. 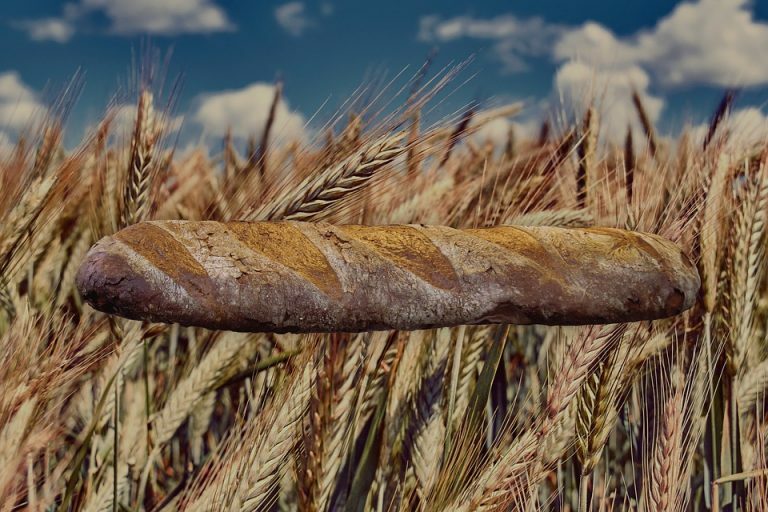 The Bio-byproduct committee of the Päijät-Häme Grain Cluster focuses on exploring opportunities to increase the efficiency of side streams from production. Other stops in Lahti include the Kujala waste treatment site with a recycling and reuse ecosystem and Stora Enso’s innovative packaging factory. Bus transport is provided for the day. We will return to Helsinki after the last stop and the bus will take participants to the airport or back to the centre of Helsinki. This excursion will take you to Äänekoski, in central Finland. 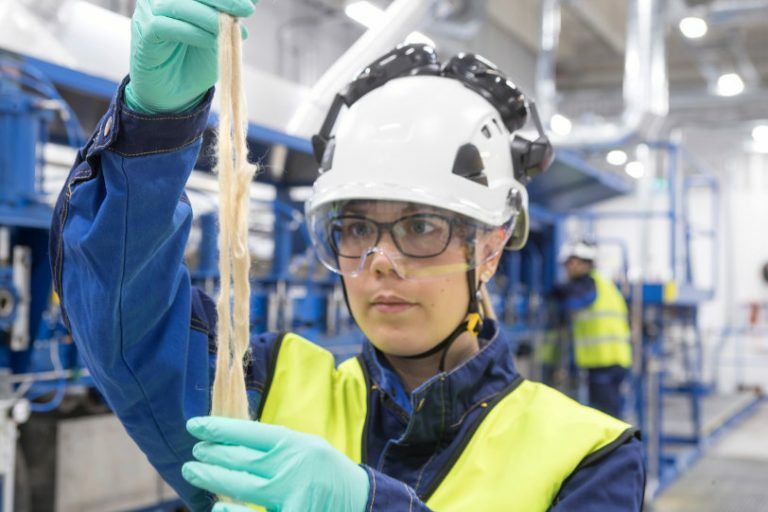 We will visit Pro Nemus, which is Metsä Group’s visitor centre, where we will be introduced to a cross-section of their operations, products and opportunities offered by the bioeconomy. We will also have a chance to visit Metsä Fibre, the first next-generation bio-product mill in the world, and a local forest, and we will be introduced to other forest-based bioeconomy business sectors in the area. This excursion will take you to Joensuu in eastern Finland where you will have a chance to become familiar with advances in bioeconomy. The city’s university and science park are well known for their innovative solutions in different ecosystems, from forest research to digitalised heavy machinery. The University of Eastern Finland, the Natural Resources Institute Finland, the European Forest Institute and Business Joensuu will present their activities. A side trip will be made to Enocell Mill, which produces bleached hard wood pulp, soft wood pulp and dissolving pulp for the textile industry. The welcoming reception organised by the City of Helsinki on 8 July from 18.00 to 19.30, will be held in the Banquet Hall of the City Hall (Pohjoisesplanadi 11-13). The conference takes place on 9 July at the hotel Scandic Park Helsinki, which is located in the city centre. 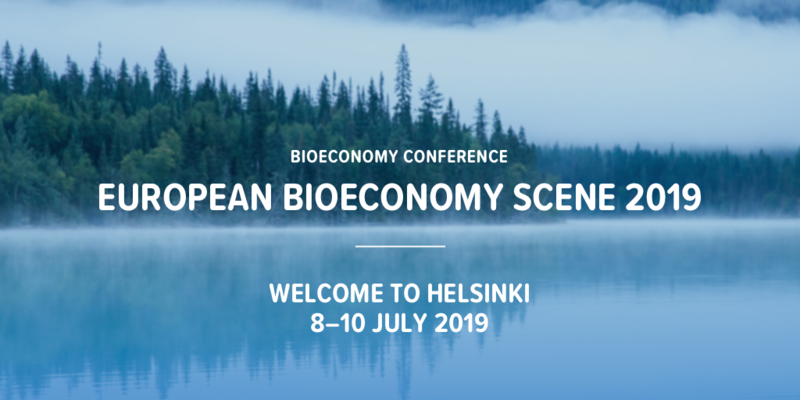 European Bioeconomy Scene 2019 to bring numerous internationally renowned experts to Helsinki: A unique conference on the bioeconomy, to be held this year in the vibrant seaside city of Helsinki, will present new issues and offer insights into bio-based value chains and the related socio-economic aspects. 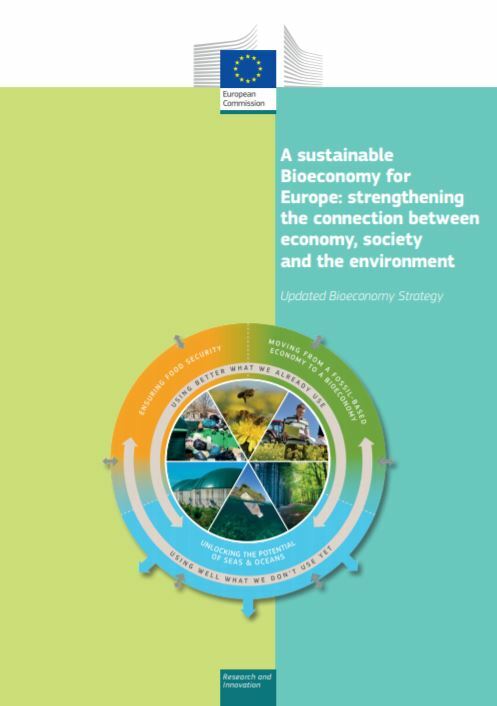 The objective of European Bioeconomy Scene 2019, which will take place on 8– 10 July, is to achieve an inclusive and sustainable bioeconomy for Europe.